You and your adventuring companions have spent all day slogging through the Dungeon, killing monsters and taking their stuff. 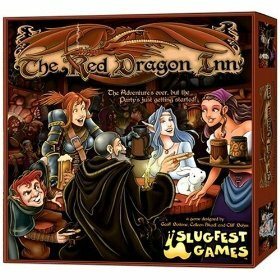 Now you're back in town, healed up, cleaned up, and ready to party at the Red Dragon Inn. Drink, gamble, and roughhouse with your friends. But don't forget to keep an eye on your Gold. If you run out, you'll have to spend the night in the stables. Oh... and try not to get too beaten up or too drunk. If you black out, your friends will continue the party without you... after they loot your body for Gold of course! The last conscious adventurer with Gold wins the game! 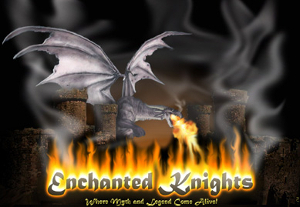 Take on the role of one of these heroic fantasy adventurers - Dierdre, Fiona, Gerki, or Zot - and enjoy an evening at the Red Dragon Inn! For 2-4 players, age 13 and up.